Online ordering menu for Ninja Restaurant. 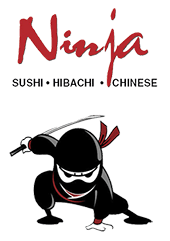 Offering our clientele high quality sushi at an affordable price, Ninja Restaurant is a must-visit for the serious sushi lover. Come in today and try some of our house special rolls created by our experienced sushi chefs. We also offer hibachi and many Chinese favorites, available for delivery of carryout. We are located at the corner of N. 33rd Street and N. 33rd Circle, across the street from Lincoln North Star High School.